TPU informs us that ThermalRight has introduced the AXP-200, a new low-profile processor cooler for HTPCs. The cooler measures 150mm x 140mm x 60mm, it weighs 475g and features a nickel-plated copper base, six 6mm diameter heatpipes, a large aluminium heatsink and a 150mm fan with adjustable fan mount. The fan spins at 700 to 1300RPM with a maximum noise level of 30.6dBA. 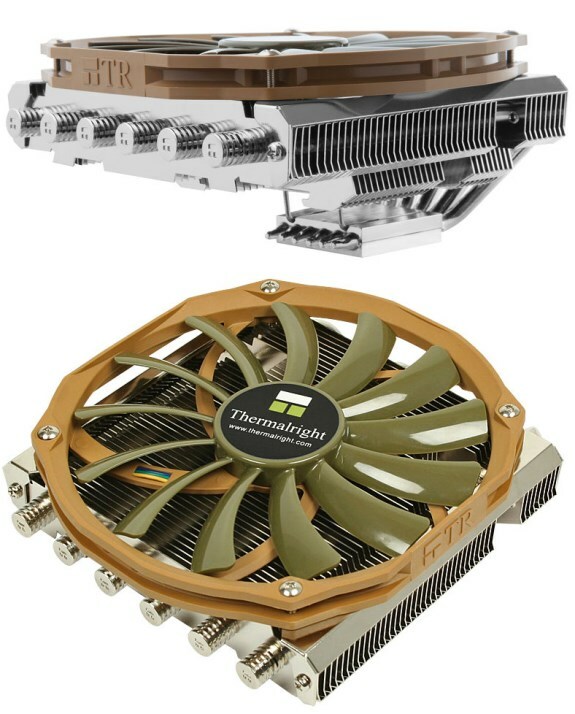 The ThermalRight AXP-200 is compatible with Intel LGA775/1156/1366/1155/2011/1150 and AMD AM2/AM2+/AM3/AM3+/FM1/FM2 processors and is being sold in Europe for around 49.99EUR.